Creative Experts at Contact are a group of professional facilitators, performers and consultants from across Greater Manchester that deliver creative facilitation and training services on behalf of Contact. Creative Experts can help your organisation by providing fresh, innovative and creative solutions - from staff training, workshop/away-day facilitation, mentoring, conference enhancement through to large-scale community engagement projects and promotional films for both social media and website use. 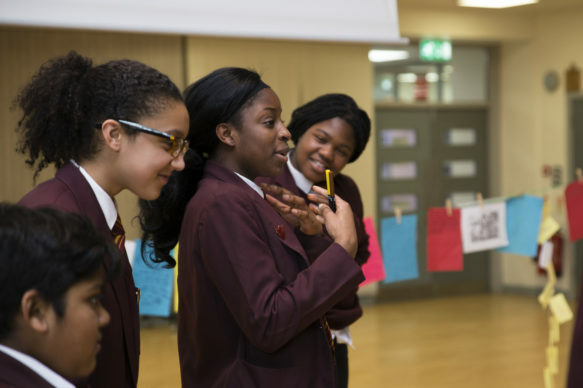 Creative Experts also work with local authorities and the education sector, using skills in live and digital art to create high quality, innovative workshops and participatory projects with local communities. Recent clients include: Chester Zoo, Future Everything, ONE Manchester, University of Manchester, Manchester City Council, Reclaim, Greater Manchester Police, Virgin Trains, the BBC, Electricity North West, GMCVO and Siemens UK. We’re working with Chester Zoo re-vamping their Safari Ranger Programme using the creative arts to help them better engage with a wider variety of learning styles - this years subject is ‘Sustainable Palm’. Spanning two years, our recent project delivered in partnership with FutureEverything was our most sustained community project to date. Creative Experts delivered a range creative workshops, walking tours and community forums taking the CityVerve message out to local communites. CityVerve aims to build a smarter, more connected Manchester using new technologies whilst creating a blueprint for smart cities around the world, is made up of a consortium of 21 partners, and is backed by the UK Government and Innovate UK. 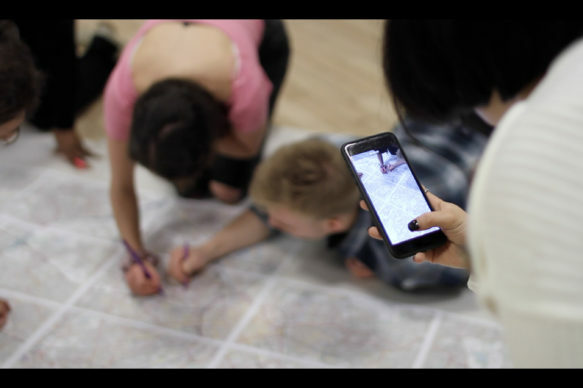 We worked with the Future Fires programme to design a short version of the 6-month course to help train young leaders at York Medial, a new festival showcasing international digital artists and media makers. Based at Contact, Future Fires is an innovative leadership programme, that empowers young people in the design and delivery of their own creative projects. The short Course runs over two days, includes practical and creative skills development in project planning, budgeting, fundraising and networking and is the perfect course to initiate youth leadership within an organisation. 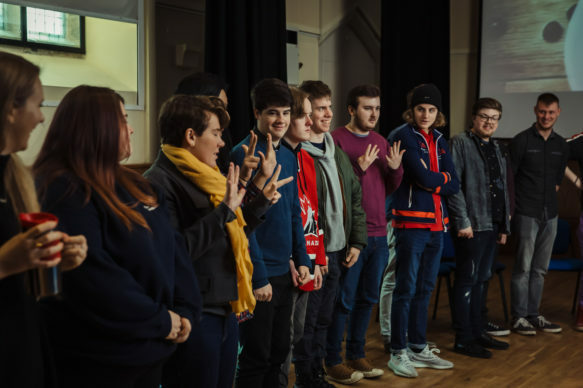 Creative Experts teamed up with Greater Manchester Police (GMP) and two schools, Manchester Grammar and Levenshulme High, to create a play that helps pupils understand honour based abuse: Not In My Honour. 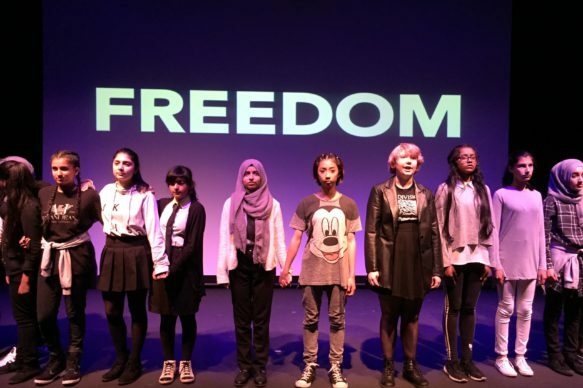 Using a script developed with playwright Aisha Zia, the play was performed by both schools and explored honour-based abuse in a wide variety of forms, from family acceptance of transsexuality to forced marriage. Through the play, pupils were empowered to speak up against such practices within their own communities. Creative Experts worked with the Customer First Department at Siemens to help senior managers tackle challenges around communication between teams. After consultations with employees, the Creative Experts dramatised the challenges and frustrations faced in their daily working lives and performed these voices back to a national conference of managers alongside exercises, discussions and frameworks for tackling personnel challenges in an emotionally engaged way. A conference enhancement service with a difference. Engage delegates using live spoken word/rap artists to open, punctuate and close your conference/seminar. The highly skilled wRap Up! team tailor their performances to the most important themes of the day to spark inspiration and motivation in the room. Let us bring some creative flair to give your conference, seminar or meeting. Our established and highly skilled team of creative facilitators will help you deliver key information and messages whilst ensuring lively discussion and engagement. Connect your business with the people that matter with Creative Experts. Bridge the gap between you and the communities you serve through a creative engagement programme developed and delivered by Creative Experts and Contact. We will work closely with you to help bring a creative element to your staff training programme. We offer bespoke training packages in Customer Services, Equality and Diversity, Health and Wellbeing in the Workplace and Public Speaking. We have a dynamic film team ready to mobilise and capture your event or help you create new content for your social media platforms or website. We can also help you review your digital output through creative consultation. For more information, please email creativeexperts@contactmcr.com or call us on 0161 274 0600.